Global restaurant guide Zomato is planning to invest USD 1 million to strengthen its presence in Scotland. 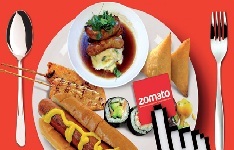 Mumbai: Global restaurant guide Zomato is planning to invest USD 1 million to strengthen its presence in Scotland. "Scotland is one of our focus areas in the region. We are strengthening our presence and growing our team in Scotland. We are investing USD 1 million over the next year to scale up our operations in Scotland," Zomato Western India, Business Head, Viraj Sawant said in a statement. With a very diverse cuisine-driven restaurant industry, Scotland has gained significant prominence over the last decade and has a lot to offer to the culinary sector, he said adding that Edinburgh and Glasgow are the obvious choices to expand into. "We are delighted to welcome Zomato to Scotland and hope to see them grow in a country that is so passionate about food. The food and drink industry is worth over 13 billion pound (GBP) annually to the Scottish economy and holds immense potential for business," Scottish Development International, India, Country Director Rooma Kumar Bussi said. Zomato is currently present in 41 cities across 12 countries, and has extended its digital presence to Edinburgh and Glasgow in November 2013. It provides in-depth information for over 3,000 restaurants in the two cities. Going by the initial consumer response, Zomato has also set up its second UK office after London in Edinburgh in early 2014, to cater to the growing demand for their service more effectively.